If a thinner consistency is desired, add 2-3 tablespoons water or broth to the blender. Known for their sweet honey flavor and jam-like texture, figs are an Asian-flowering plant disguised as a fruit. Figs are briefly in season twice a year and because of this, not only are they difficult to find, but they can be expensive. In this recipe, substituting fig jam for the fresh stuff saves money and time, and ensures you can make this delicious dressing all year round. 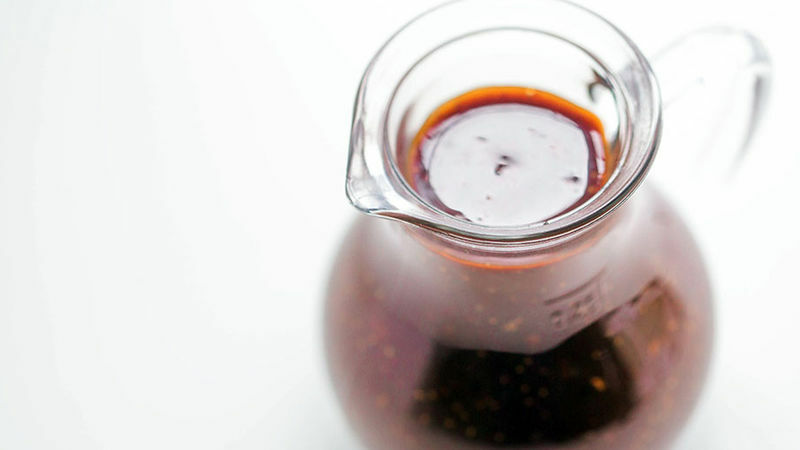 This slightly sweet, slightly acidic fig balsamic dressing is made with a handful of ingredients and only takes a mere five minutes to prepare. It tastes amazing drizzled over salads or as a quick meat-marinade. Needless to say, if the only experience you’ve had with figs is from the innards of your grandparent’s cookie, you’re in for a treat. Take a peek at our other homemade salad dressings. You’ll see they’re just as easy and tasty.